something much more colorful like that. important like a mountain, or tall like a tree. This resonated for me with a simpler, quieter time in education when Kindergarten was stories and naps, milk and cookies, and play, play, play. The grades were taught by real, live teachers loving to teach and loving their rooms full of kids. A time when the basics were enough, and testing was only little daily quizzes, plus teacher-made midterms and finals. And assessment was a handwritten blue report card, seen only by the teacher, child, and parent. Perhaps Ipads and apps might be the flashy sparkles on the water? And might I say that our education system may very well need to be made green again: slowed down and simplified. 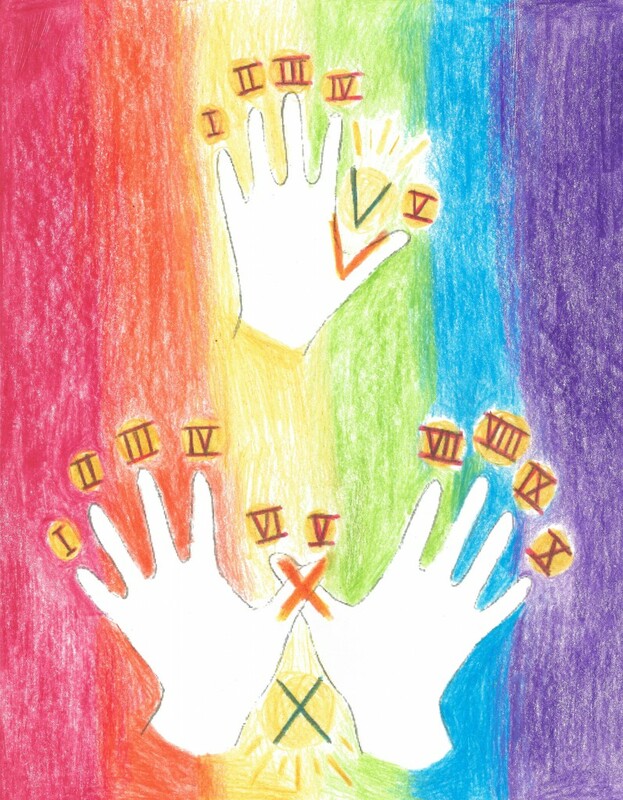 Here’s the Roman numeral hand trace as promised yesterday. Have the child(ren) trace first the left, than both hands together, with a pencil. Note the “V” and “X” (5 and 10), and know that all the lively color isn’t just fancy frills. The child from 7 to 14 needs to be educated with heart and art, and the operative word here is “needs” because the heart connection is absolutely necessary for what’s being taught to be properly received. 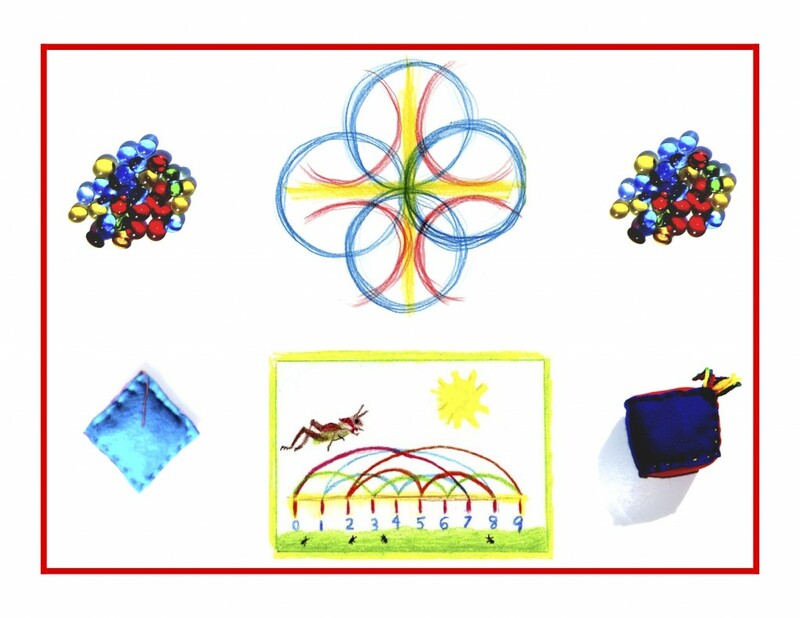 You will find that the rainbow is a recurring theme, an expression of the irrepressible joy that shines through when children are artfully taught. Knowledge ensues in an environment dedicated to imaginative, creative knowing, where student and teacher alike surrender to the ensuing of that knowledge as a worthy goal. More Grade 1 numbers tomorrow!